My name is Tony Infelise and I'm the president of ASI Home Inspection, Inc. I started my company in 1996 after 16 years as a union carpenter. I worked on jobs ranging from small remodeling jobs and rehabs to new home building to high-rise commercial jobs. So if you're looking for an experienced and knowledgeable home inspector, you came to the right place. ASI Home Inspection is an independently owned and operate company. My company is based in Bartlett, IL., but I perform home inspections throughout the Chicagoland area. Since my company was started, I've performed thousands of residential inspections on units ranging from small studio condominiums to multi-million dollar luxury homes. Other than my construction experience, my other qualifications include being a certified member of the American Society of Home Inspectors (ASHI) and a member of the Great Lakes Chapter of ASHI (ASHI-GLC) and I'm fully licensed with the State of Illinois. ASHI is the leading home inspection organization in the country. Many other states have adopted or based their own inspection requirements on ASHI's Code of Ethics and Standards of Practice. ASHI-GLC is a chapter of ASHI. It's made up of inspectors from Illinois and our five surrounding states, Wisconsin, Iowa, Indiana, Michigan and Ohio. Being a member of the Great Lakes Chapter of ASHI allows me to attend their quarterly educational seminars and to gather with, in my opinion, with some of the best inspectors in the country. Being a member of ASHI is one of accomplishments that I'm most proud of. 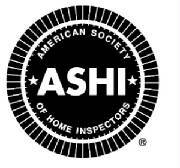 To be a certified member of ASHI an inspector has to pass written exams and have a minimum of 250 fee-paid inspections. To maintain membership in ASHI, I have to have a minimum of 20 hours of continuing education every year. The construction industry is always changing and the only way to stay on top is to continue to educate myself. One other thing you should know is that no matter where the inspection referral came from, you are my customer. No matter if it came from your real estate agent, attorney or your friend, I work for you only. Over the years, I've seen other home inspection reports. Some are very good; others tend to be vague about defects. We call this "inspector-speak". This is when a home inspector uses words and phrases in a confusing manner that glosses over defects. They do this because they don't want to upset their referral source, the real estate agent. At this point of my career, I get a majority of my referrals from past clients. This is another thing I'm very proud of. It tells me that I must be doing something right. I do work with some great real estate agents, but they are well aware of my straight-forward inspection style. See for yourself by clicking here, sample home inspection reports. The two most common questions I get are how long will the inspection take and what do you look for. Between inspecting the building and answering questions, the inspection will last every bit of 3 hours. I usually tell my clients to budget between 3 to 4 hours. This gives us time to go through all of the information so that you can make an informed decision on the property. The #1 priority in the inspection process is safety. Any safety issue, no matter how minor it sounds, missing handrails, trip hazards, missing or non-functioning GFCI outlets, ect., gets added to the report. It is my goal to make sure you and your family are safe in your own home. From there I concentrate on the major issuses. Items that will cost a lot of money to replace. Items such as the roof, furnace and the AC system just to name a few. Then comes the maintenance or minor issues. Again some samples being a leaking pipe or rotted piece of wood. Every defect I find gets written into the report, but this is the process that I focus on. Give me a call today. I would love to speak to you about your home purchase and possibly answer any questions that you may have. I’m always trying to improve my service. Please visit Angie’s List to let me know how I’m doing.